Kevin Anderson beat John Isner in a marathon men's semi-final at Wimbledon 2018 on Friday. However, the eighth seed must wait to see who he will face in Sunday's final on Centre Court. 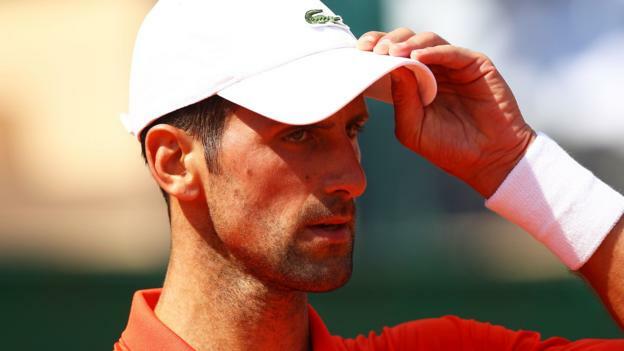 The South African took six hours and 35 minutes to see off Isner which meant the second semi-final between Rafael Nadal and Novak Djokovic did not start until late in the evening. Djokovic was leading 2-1 when play was suspended at 11 p.m. local time due to Wimbledon's curfew. The two men will return on Saturday to complete their match. Unsurprisingly, Isner's clash with Anderson was a tight and tense affair with the two big servers conceding few break points. The first set was more entertaining than expected but still predictably went to a tie-break. Isner netted a forehand which handed Anderson the early advantage after one hour and three minutes. The second set was a similar story with both players holding to love in the early games and unable to carve out any opportunities to break. The first break of serve finally arrived in the third set. Anderson managed to work two break points, but he only needed one as he hit a winner to move 5-3 up. Incredibly, after waiting for so long for a break in the match another promptly arrived as Isner hit straight back. A forehand error by Anderson gave the American a chance, and he made no mistake to bring it back to 5-4. It got even better for Isner in an entertaining tie-break. Anderson moved ahead early on thanks to a brilliant backhand to earn a mini break. However, again Isner fought back and eventually clinched it to take the lead in the match for the first time. Anderson needed to find some inspiration. It duly arrived in the fourth as he managed another elusive break of serve to lead 3-2. But yet again Isner managed to break straight break with a brilliant backhand passing shot. Another tie-break seemed inevitable, but Anderson had other ideas. A few loose points from Isner gave the South African hope and a superb backhand cross-court winner gave him a break at 5-4. This time he did manage to hold his nerve to serve it out and force a decider. The pressure of serving second eventually told on a weary Isner who found himself consistently having to save break points in his final few service games. Nadal and Djokovic were probably of the same opinion. They were forced to wait until just after 8 p.m. local time to begin their semi-final under a closed roof on Centre Court. The late start meant it looked unlikely the players would finish their match before the 11 p.m. curfew. Djokovic started as if he were in a rush, putting pressure on the Nadal serve from the start. He managed to pen Nadal back with his powerful groundstrokes, and it was little surprise to see him gain the only break of the first set on his way to taking an early advantage. 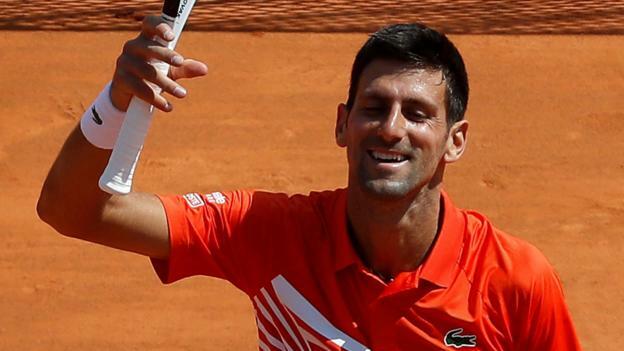 Djokovic had a chance to break at the start of the second, but Nadal hung on and then showed all his famous fighting spirit to level the match. The two players traded breaks midway through the set, but a determined Nadal broke again at 4-2 and then managed to see out the set. The quality and the tension rose in the third set, and it was little surprise to see it go all the way to the tie-break. Djokovic took the early advantage, but Nadal fought back and earned three set points with some clever drop shots. However, he could not make any of them count and was made to pay. A drop shot set up Djokovic with a set point, and he duly secured his second set when Nadal netted. Play was then suspended to leave the Serb holding the advantage overnight. The two players will return on Saturday to complete their match, with Djokovic looking in good shape to progress to his first Wimbledon final since 2015.